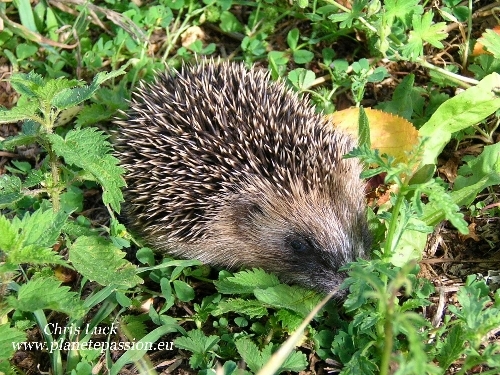 ﻿ All about the Hedgehog in France, threats and dangers. It’s always been known that tramps and gypsies ate Hedgehogs along with other wild creatures that are easily captured. Indeed in Medieval England Hedgehog and Squirrel would be found on the tables of the Nobility. Up until 100 years or so ago there would have been little if any impact that resulted from this behaviour should it have continued with a largely unmanaged rural landscape, a small human population and even fewer roads or vehicles in the UK, France or elsewhere in Europe. This has all changed and currently the hedgehog is under pressure with populations tumbling for a number of reasons to be explained later but first a little background to the main groups of Romany people we find in France. To start with in France we find the term or label “Gens du Voyage” and people will see specified areas marked as such that are provided across France with facilities where people that qualify can park their caravans. This is an administrative category that applies to people with a nomadic lifestyle but it would be wrong to specifically apply that to any one of the Romany groups that can be found in France. 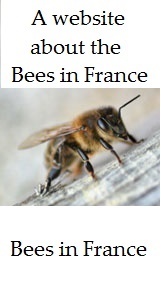 The Law that created this category was passed in 1969 and there are around 400,000 of them in France most of whom are French Citizens of various backgrounds. This requires that they go through a registration process to qualify and then be provided with carnets and passbooks granting them a unique status that translates as "the exercise of itinerant economic activities and the regime applicable to people travelling in France without residence or fixed residence". This is a unique category that requires them to keep a record of all their movements and one that renders them subject to regular police checks. "Manouches", also known as "Sinté", who often have familial ties in Germany and Italy. "Gitans", who trace their family history to Romany people in Spain. In my experience in France there is a tendency for any person of apparent gypsy background to be called Manouche by default by the other local residents, especially where they are living in houses which a large number of them do. Unfortunately the lifestyle of these people frequently clashes with the rules and values of mainstream society and the capture of wildlife for consumption is one such area. In France the hunting of wildlife is strictly regulated requiring by law a “permis de chasse”, (hunting permit), to be acquired by passing a test and there is also a list of species that are permitted to be hunted and when. All other species are protected in the broad sense that generally forbids the capture, detention, transport, naturalization, peddling, offering for sale, sale or purchase, commercial or non-commercial use, breeding in captivity as well as deliberate actions taken against sites where breeding is taking place. There are also those species that are “Fully protected” which makes it an additional offence to deliberately harm, kill or destroy them or indeed to incite others to do so. Full texts are more complicated than this in their specific application to the different groups of birds, mammals, reptiles, amphibians, plants, fish, molluscs and insects with their respective requirements. 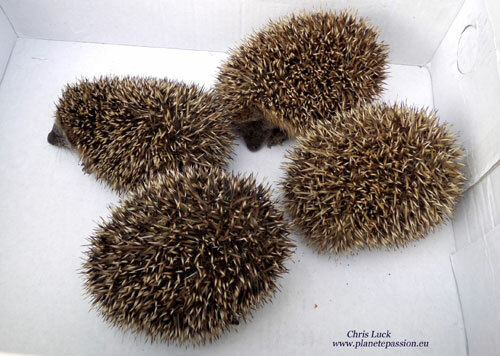 In the case of the Hedgehog full protection was afforded them in April 1981 which in the case of an infraction allows for a penalty of up to 1 year imprisonment and €15,000 in fines plus confiscation of any objects used when committing the offence, (vehicles, weapons etc). 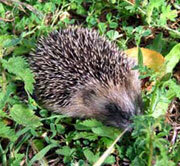 Extraordinary as it may seem the French hedgehog population has declined by some two thirds during the course of the last 20 years or so with an average of some 2 million killed each year. As with any species there are natural reasons for mortality that we can separate out approximately as follows starting with the fact that some 20% of babies die before leaving the nest. Of those that survive and leave the nest some 18% are decimated by parasitism (maggots, ticks, fleas). 9% are victims of their natural predators, weasels, badgers, polecats, marten and foxes and 13% die of exhaustion and hunger in hard winters. 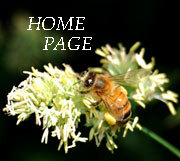 Unnatural deaths caused directly by human activity account for the remaining 60%. 26% of them die poisoned by pesticides (Metaldehyde) used to kill slugs. The remaining 10% die by drowning in swimming pools, being wounded by brushcutters and lawnmowers, burned in piles of leaves and brushwood or are trapped in netting. An unknown number of babies will die from starvation following the death of their mother from one of the above causes. What this means is that a young hedgehog that leaves the nest now has a life expectancy of less than 2 years and perhaps only 4 in a 1000 will reach the age of 10 years with a potential, if unlikely, life span of 15 years or more. What is difficult to determine is the number of hedgehogs that are captured to be eaten by Romany people but it’s probably quite substantial at the local level but without great impact Nationally. None the less it is important and every year people are caught in the act of collecting them when they usually receive a verbal caution for a first offence. Of course everyone knows it isn’t a practice that is going to stop overnight given the understandable cultural divides that exist between the Romany people and French mainstream society. What is clear is that it is all of our actions, (some more than others maybe), that are responsible for their dramatic decline and we can all try to minimise the harm we cause.